This is all Yours kicks off with some choppy, octave jumping ‘la-la-la’ harmonies. It then dives into some brief singing and pounding, sharp drums. This sets the scene for the unique indie-folk-electronic sound that is alt-j. Each track on this record takes the listener on an unpredictable sonic journey. Verses and choruses are non-existent and percussion is sparse, consisting of a fickle mixture of acoustic and electronic drums. Accompanying are folky guitars and pianos and a wide array of odd eccentricities, some of which are pretty daring and would usually be dismissed as uncool and off-limits by most sane bands. I’m talking about the recorders on ‘Garden of England’, the Miley Cyrus feature on ‘Hunger of the Pine’ and the stock DJ sample sounds on ‘The Gospel of John Hunt’ that used to be on my old Yamaha keyboard. Yes, Miley Cyrus is on this album! Like, wtf??? All these odd additions shouldn't work in the context of this album and yet they do. 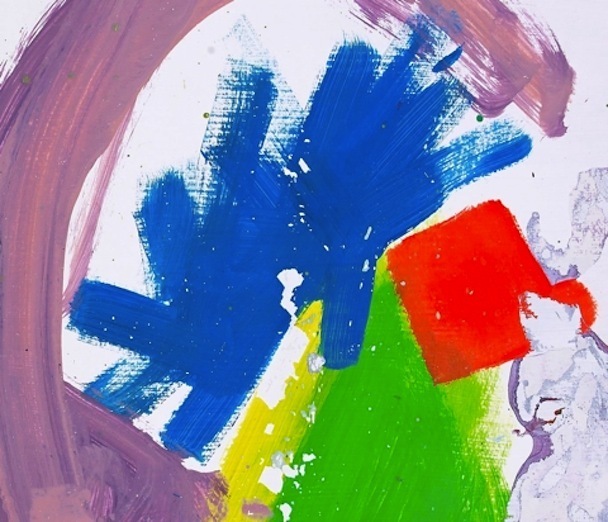 Maybe you could call this album unfocused in parts, but each track makes sure it fits in some characteristic alt-j moments to keep things cohesive. The album’s a mess but it’s a controlled mess held together by several overarching themes and motifs. One of these easily identifiable themes is the constant references to ‘Nara’, a place mentioned in three of the track titles: ‘Arrival in Nara’, ‘Nara’ and ‘Leaving Nara’. Nara is a Japanese city that I’m guessing the band members have visited (well, I don’t know why else they’d keep mentioning it). There may be a Nara-related story going on in the lyrics, although I haven’t been able to make out much of it so far. The heavy use of reverb, the sound mixing and Newman’s unusual vocal tone all make the lyrics pretty tricky to decipher in places, which gets annoying, considering the few lyrics that can be interpreted sound quite interesting. ‘Turn you inside out and lick you like a crisp packet’ is one of the fantastically grotesque similes featured on ‘Every Little Freckle’, one that I’m still trying to get my head round. Bizarre and abstract lyrics like this are something I look for in indie music. It shows the band have a sense of humour. Were all the lyrics serious, an album like this could risk coming across as a little pretentious, with its recorders and stock Yamaha samples. There are a lot of crazy arty-farty indie groups out there like Alt-J that think they're the second coming of The Beatles. However alt-J seem modestly nuts, which is something I like about them. Look what you made me write. Lots of jazzy soppy heartbreak tunes this week. Get your handkerchief and a tub of Ben and Jerry’s at the ready. Meet DGA (Dopest Gringo Alive). N.E.R.D are back sporting a less poppy, more political Pharrell Williams.